PANAVIA SA Cement Plus eliminates the complexities of previous multi-bottle systems. 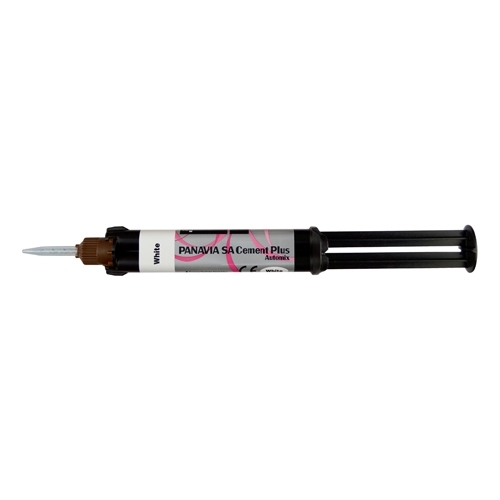 It provides an outstanding level of adhesion to enamel, dentin, metal, lithium disilicate, and zirconia. New chemistry provides stronger bond strength, faster light curing time, and room temperature storage.